Action: Analgesic, antidepressant, antiseptic, cicatrisant, diuretic and insecticidal. Helps clear the body of toxins which may be helpful with addictions. Stimulates the lymphatic system which keeps infection at bay. Eases neuralgia. Indicated for all problems of the nervous system such as anxiety and nervous fatigue. The oil is a diuretic and a lymphatic stimulant which can help relieve congestion, fluid retention and swollen ankles. Useful for all skin conditions as it balances sebum. Good for oily skin and mature skin. Also helpful for treating eczema and psoriasis. It's an excellent remedy for burns, wounds and ulcers. Emotionally, geranium relaxes, restores and maintains stability of the emotions. It blends well with other floral oils, and, mixed with Lavender and Bergamot produces a delightful room freshener. Precautions: Dilute before use. May cause skin irritation in some individuals. Contact with eyes should be avoided. 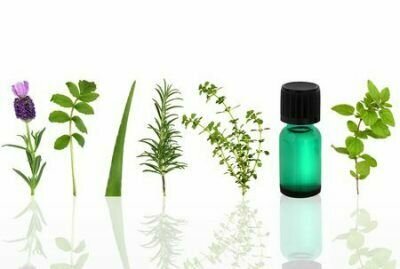 Properties and limits of some essential oils: chemical characterisation, antimicrobial activity, interaction with antibiotics and cytotoxicity.